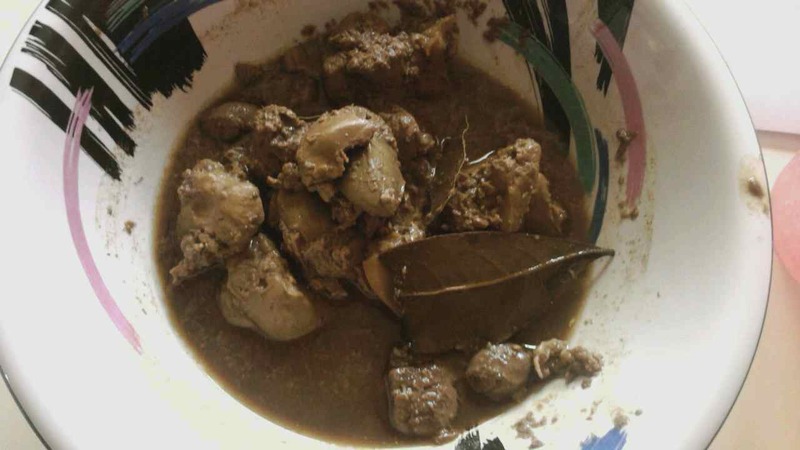 Mostly people might find it ewww... but I tell you to those who ate and love this chicken liver adobo, they can say it's the best. Since I left Philippines I seldom eat Filipino dishes in the foreign country. Although there are stores and restaurants in other states, not mine. I was longing to eat my Filipino dish at least once a while. I do thank my friend Tess who is so nice and been here for a long time than I do. She told me where to buy this weird food as mostly Caucasian says, but for the taste of a Filipino who grown up eating this kind of food is way too opposite. Anyways, she told me where to buy it and how to make it. I finally make this adobo and ate it. I mashed some and give it to my son. For now I don't hear any words from him yet of not liking this. But my husband do. Sometimes, I go online and check recipes that I can try to make and introduce to my husband and son. Good thing there are Online TV nowadays. I don't need to open my television and internet at the same time. I could just go online and browse. I'm not fond of eating chicken liver but when I gave birth, my mother in law said that I have to eat pork liver to replace the loss iron during child birth. My husband is not fond of chicken liver but I love it when prepared properly. Your adobo looks so good! This used to be one of my fave dish, Novs. But, the last time I have had some was when I was in my first trimester of pregnancy with Tiara because I was really craving for it. Never again though because it game me an arthritis attack on my arms which left me crying in so much pain. LOL.